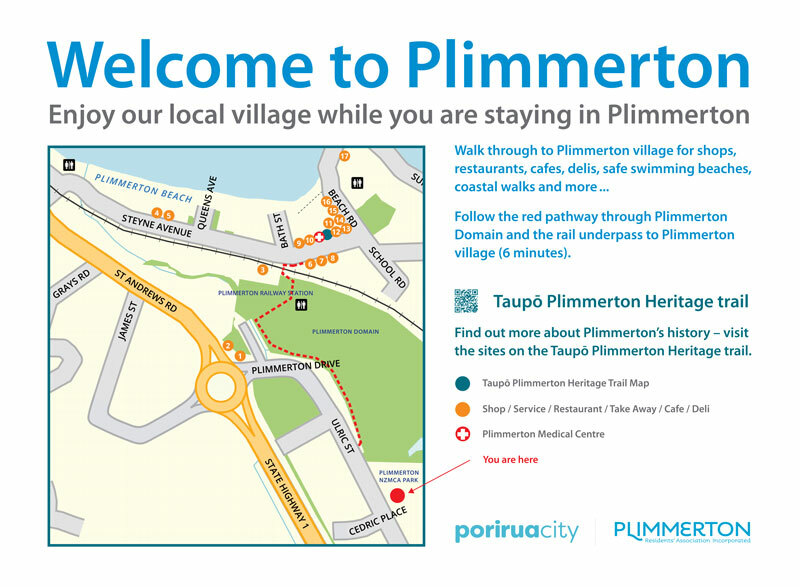 PRA has produced signage for the new Ulric street park showing all the many facilities in Plimmerton. People using the park can walk through the domain and rail underpass to the village. Businesses report increased customer numbers from people staying in the park. This sign was designed by Anne Johnston a local graphic artist who has designed other village signage like the distinctive beach wave signs and the steel wave bridge panels on the bridge at the entrance to Plimmerton. Here is a link to all the business panels which have been installed next to the map.